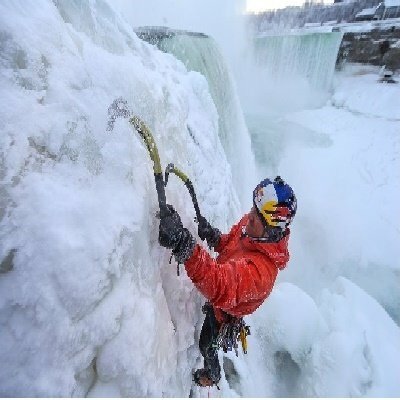 It was quite a sight to see when two climbers sponsored by the energy drink, Red Bull and with the permission of the State Reservation of New York were granted approval to climb the treacherous ice covered face of Goat Island on the U.S. side of the Canadian Horseshoe Falls the last few days. You can see the full story in this past Friday’s edition of the Niagara Falls Review. The climbers Will Gadd, and nearby Niagara Falls native Sarah Hueniken of Pelham made the 46 metre climb several times. The event was 8 months in the making. 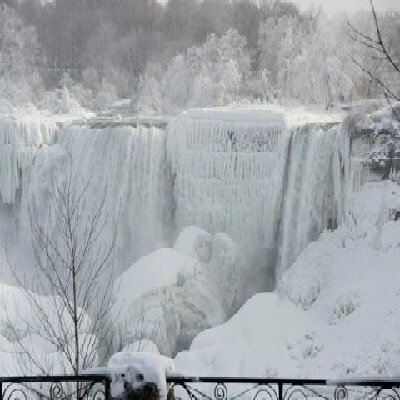 Attached are a few photographs that were taken of the event and of the magnificent ice conditions near the falls at Niagara Falls.